Joomla vs. WordPress: What Are the Key Differences? Joomla and WordPress are open source content management systems (CMS) that are popular for creating websites. WordPress tends to be more user-friendly, suitable for small businesses and publications. Joomla is for experienced developers, suitable for more intricate social websites with login portals. Joomla works great for community/social websites where users register accounts and login to interact on your site. It includes these community-level features by default, whereas WordPress and other website platforms require plug-ins to set this up. That said, Joomla requires a lot of technical expertise to set up, so it’s not ideal for simpler websites. WordPress offers the “best of both worlds”—a simple visual website editor that can be used by beginners and a more high-level platform for the experienced developer. It also has the most active community, offering over 50,000 free and paid plug-ins. This means you’re more likely to find a specific feature or integration with WordPress than any other website platform. Both Joomla and WordPress are known to be pretty complex systems. So we’ve created a simple route for our readers to simplify the process. First, set up hosting through Bluehost, which allows you to install both WordPress and Joomla in one click. Then, if you choose WordPress, use one of our free business themes to quickly design your site without any programming or graphic design experience required. Joomla and WordPress are both free open source platforms. 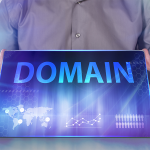 While they don’t technically require a purchase to use them, you do need to pay for hosting and a domain name in order to set up a website. There are also optional costs for themes and plug-ins/extensions, which add more functionality to your site. Hosting for WordPress and Joomla is inexpensive compared to other website builders. Using Bluehost, you can get everything you need starting at $2.95/month. This includes a domain with SSL encryption, unlimited bandwidth, and up to five business email accounts. Upgraded hosting plans like VPS hosting ($20/month) or dedicated server hosting ($80/month) give you even more speed, storage and reliability. However, these upgrades are only necessary when you start getting a lot of traffic—over 10,000 visitors per month or so. Bluehost also makes it easy to upgrade later without disrupting your website service. In addition to hosting, both Joomla and WordPress charge extra for certain themes and plug-ins. Themes are website templates that give your site a specific style, while plug-ins are additional tools and integrations you can add to your website. A lot of themes and plug-ins are available for free (especially for WordPress). WordPress has a much larger community of developers, which tends to output more free and paid tools. One example is Fit Web Themes—a series of business WordPress themes designed by us at Fit Small Business. It’s a way for our readers to design a super sharp business website without requiring any programming or graphic design experience. Plus it doesn’t cost anything extra. If you do wish to pay extra for certain features, pricing is fairly similar between Joomla and WordPress. Premium themes and plug-ins range from $20 to $200+. As content management systems, Joomla and WordPress work in very similar ways. 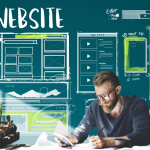 To design a website, you first install a theme to act as a foundation for your site. Then, add plug-ins (or extensions, as they’re called in Joomla) to get all the additional features you need. Finally, you’ll piece everything together and add your website content. The main difference is that WordPress has made strides to be more user-friendly, while Joomla remains rudimentary. WordPress uses a visual editor, so you can see how different fonts, logos and widgets appear on your site in real-time. Also, a lot of features are provided by default, so you typically won’t need to install new plug-ins unless you’re adding something pretty unique. Joomla, by contrast, uses text-based menus that aren’t as easy to navigate. Likewise, as we’ll explain next, a lot of basic features need to be installed separately. Joomla websites start out very bare bones, and require a bit of work behind the scenes to start resembling a website. Features like search bars, navigation menus, and image sliders are known as modules. Each of these need to be installed individually (except for a handful that are included by default) and then set up on the Module Manager. To adjust settings like colors, logo and fonts, you’ll use a separate menu known as the Template Manager (pictured below). Joomla’s style editor is a text-based menu. To preview changes, you must click “Save” and refresh your website. While the process is a bit more difficult than WordPress, it does have a few advantages. Modules can typically be placed anywhere on the site, providing more flexibility to your site’s formatting. Also, Joomla includes a login module by default, which allows visitors to register an account, then login to access additional features. While WordPress can also support using plug-ins, Joomla makes it easier to set up and allows it to be integrated more naturally into your site. The WordPress dashboard is all around more user-friendly than Joomla. For one, most of the features you’ll need are included by default. But if not, it’s very easy to browse for new plug-ins straight from the dashboard. Editing happens mainly on the Customization menu, so you aren’t constantly shifting through windows. 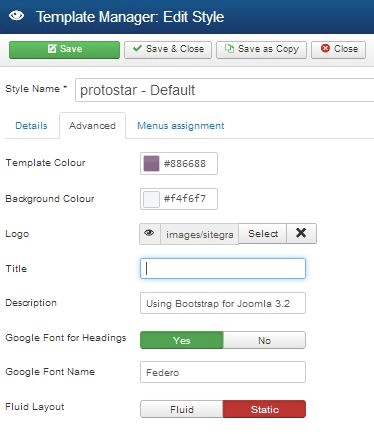 Unlike Joomla, the theme editor is visual, allowing you to preview your website as you make changes. WordPress site editor: Change settings on the left, and watch your website update in real-time. 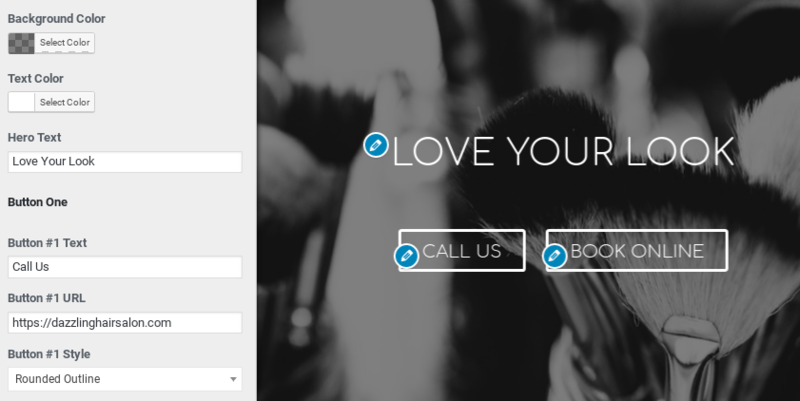 Featuring Fit Web Themes: Salon Edition. But what’s perhaps best about WordPress is that it can be used both ways. Like Joomla, you can build a complex, interactive website using plug-ins. Or, opt for a simple business template, where all you need to do is enter your business information and photos. At Fit Small Business, we built three WordPress themes that fall into the latter category, including Fit Web Themes Business Edition, Restaurant Edition, and Salon Edition (pictured above). They’re available free to our readers, and you can view samples and instructions using the links above. Both Joomla and WordPress provide many community-developed plug-ins (or “extensions” on the Joomla platform)—add-on tools that provide extra functionality for your website. Some examples include contact forms, social media feeds, and SEO tools. Or, plug-ins can be used to integrate other business systems. For example, a restaurant may want to integrate their ordering and reservation systems, a salon their appointment booking, or a retail shop their inventory software. In all these cases, the plug-in lets visitors interact more substantially with your business and reduces the manual data copy on your end. Joomla and WordPress are fairly even in this category: They both have thousands of plug-ins available, and typically support many different providers in a given category, such as email marketing. WordPress does take the cake, though, because of the sheer numbers: There are over 50,000 plug-ins available compared to 8,000 for Joomla. Both Joomla and WordPress allow you to create online stores using their free e-commerce add-ons: VirtueMart for Joomla and WooCommerce for WordPress. The two tools are similar in that they’re free to install, you can sell unlimited products without store fees (besides the usual transaction fees), and they’re highly customizable, allowing custom templates and add-on features. The key difference is that WordPress/WooCommerce offers a lot more features and integrations, and many are available for free. For example, you can install a free USPS/Canada Post shipping calculator, use a free tool to create Facebook ads with a visitor’s previously-viewed products, or set up a subscription billing platform for an additional fee. VirtueMart charges for their USPS calculator, and does not provide any Facebook ad or subscription billing tools that I could find. Check out our full guide on how to create a WooCommerce store. Both Joomla and WordPress are free open source platforms, so there isn’t a single company that provides customer service. Instead, you’ll have separate support channels for your hosting, themes, and plug-ins/extensions. Bluehost, our recommended host provider, has phone and email support and is available 24/7. They’ll be able to answer questions related to hosting, connecting your domain, and setting up WordPress or Joomla—but typically nothing more specific. While this makes it a bit harder to get on the phone with somebody compared to other website builders, there are a lot more free resources available for WordPress and Joomla. In particular, WordPress has a massive community forum where you can find answers to just about any question. In addition, most themes and plug-ins will have free training resources to help you get things up and running. When it comes to deciding between WordPress and Joomla, WordPress is generally a better decision because it’s so much easier to use without lacking any advanced functionality. Even if you’re hiring somebody else to create your website, WordPress will be far easier to hop in and edit should you need to make a quick change. With Joomla, you’ll be reliant on experts for much longer. To get started with WordPress, be sure to check out the free themes developed by us at Fit Small Business, including Business Edition, Restaurant Edition and Salon Edition. They feature slick, modern business designs, and are very easy to use compared to most WordPress themes.